View the status of TCP network connections. Is there a better alternative to NetstatPlus? Is NetstatPlus really the best app in Internet Utilities category? 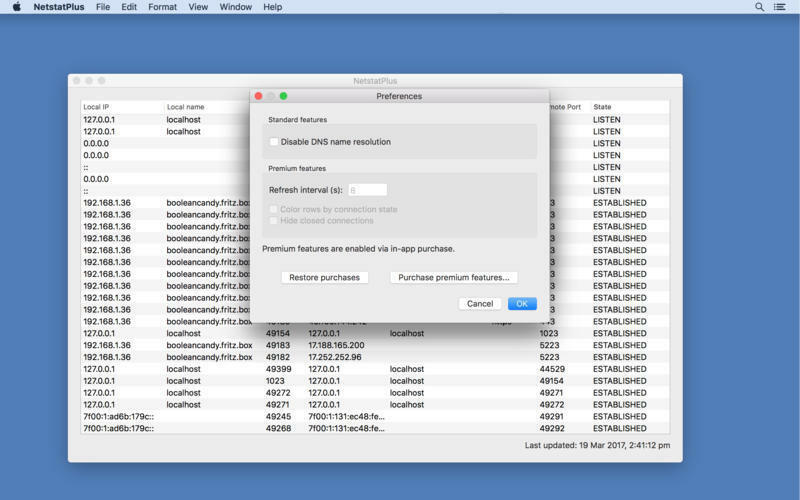 Will NetstatPlus work good on macOS 10.13.4? 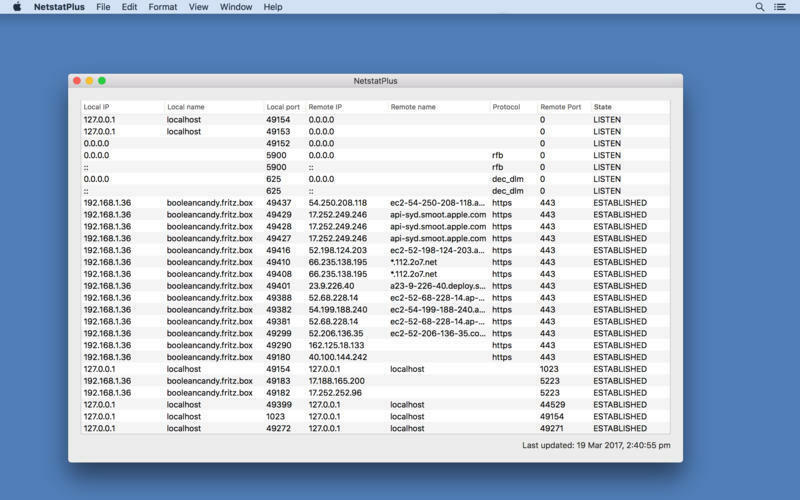 NetstatPlus is a GUI app that displays the status of TCP network connections on your Mac, just like the netstat command line program. The netstat command line tool is great, but it is limited in how it can display information and displays a lot of useless details. NetstatPlus needs a review. Be the first to review this app and get the discussion started! NetstatPlus needs a rating. Be the first to rate this app and get the discussion started!